Ratings agency Fitch has affirmed South Africa's sovereign credit rating at 'BB+' or junk and its outlook as stable. 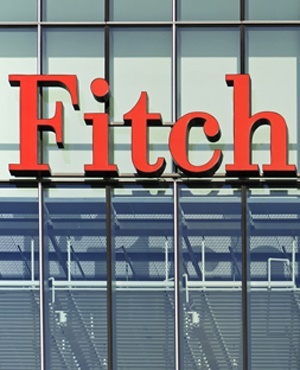 Treasury said in a subsequent statement that the South African government has noted Fitch’s decision. The agency believes that changes in the political leadership following the ANC electoral conference in December 2017 have led to a significant improvement in economic confidence. Despite a sharp contraction in the first quarter, Fitch expects gross domestic product growth to recover to 1.7% in 2018 and 2.4% in 2019. These forecasts are higher than the 2018 Budget assumptions. According to Fitch, the ratings are supported by a favourable government debt structure, deep local capital markets, a healthy banking sector and strong institutions. Furthermore, the country’s institutions, including the judiciary, the South African Reserve Bank and the National Treasury, have shown significant resilience over the last years despite the serious challenges they encountered. Treasury said the government fully recognises Fitch’s assessment of the challenges and opportunities the country faces in the immediate to long term. "Concluding critical policies, such as the Mining Charter, remains important for providing policy certainty in the country. Tangible progress has been achieved on most of the 14 confidence boosting measures and this is expected to translate into improved investor confidence," Treasury said. "Furthermore, the recent changes in governance in critical SOEs and the 2018 Budget which outlined decisive and specific policy measures to strengthen the fiscal framework are expected to improve the investment climate of South Africa." Collaboration with government, business, labour and civil society continues to yield necessary interventions to positioning South Africa as an attractive investment destination while also creating an enabling policy environment for inclusive economic growth, according to Treasury.